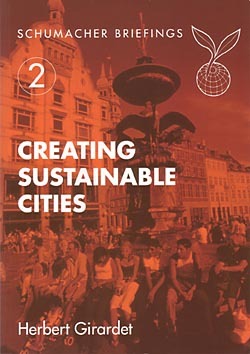 Both the paperback and hardcover editions of Carfree Cities are widely available. The paperback edition costs US$17.95 in the USA and the hardcover $29.95. For details, see Ordering Information. Towards Car-Free Cities III will bring together 75 people from across Europe and beyond who are promoting alternatives to car dependence and car culture. We will focus on collaboration and exchange, assisting the practical work of conference participants - whether it be organising car-free days or building the carfree cities of the future. The program will balance presentations with round-table discussions and other participatory activities. This is shaping up to be an excellent conference. J.H. Crawford will be facilitating a running session on strategies to increase the visibility of the carfree concept. Those seriously interested in the carfree agenda really need to think about showing up for this conference. There may also be a video-making training just before or after the conference. You won't find another conference that is so inexpensive and offers such a high quality of content. Be there! Please see the Conference Web Site for more details and registration. Due to the demands of writing the next book, provisionally entitled Carfree Design Handbook, we will be publishing Carfree Times on its former quarterly schedule. We regret the need for this step, but each issue consumes about two weeks in its preparation. The next issue is scheduled for April 2003. Elderly Americans are more likely to need medical treatment if they live in regions with bad air pollution. The study, published the journal Health Affairs, also suggests that cleaner air would reduce medical spending. The study found a correlation between air pollution and increased Medicare needs, even after controlling for region, population size, education, income, cigarette use, and obesity. Hospital admissions for respiratory problems were, on average, 19% higher in the 37 areas with the highest air pollution compared with the 37 areas with the least amount of pollution. Similarly, outpatient care was 18% higher and overall hospital admissions were 10% higher. A reduction of 10 µg/m3 in air pollution would have saved Medicare an average of $76.70 per person in inpatient care and $100.30 in outpatient care. "Use of medical care is significantly higher in areas with more pollution"
Conservative apologists promptly attacked the study's methodology. I suppose we should have this study repeated by Ford or GM. A group of Japanese asthma sufferers has won US$638,000 in a suit against the Japanese government alleging that road-related air pollution in Tokyo either gave them asthma or exacerbated existing asthma. The plaintiffs live within 50 meters of major roads and highways in central Tokyo. The court cited the failure of the national government, the Metropolitan Expressway Public Corp., and the Tokyo metropolitan government to properly build and manage Tokyo's roads. "The extent of the violation is very serious. The large volumes of exhaust that are continually released have caused and exacerbated bronchial asthma, which can endanger a person's life," the court said. "The judgment is a very severe one," said Chikage Ogi, the land and transport minister. "Improving the environment of road transportation is an urgent matter, and I've directed the ministry to promote new measures to deal with the problem." Other suits are pending. "Tokyo court orders government to pay damages for asthma caused by auto exhaust"
In the sue-happy USA, this tactic should find instant adoption. California's San Joaquin Valley has overtaken Los Angeles as the US region with the filthiest air. The San Joaquin Valley, with only 3.4 million people but 2.4 million motor vehicles, had only 53 good air days in the past year. Ozone is the principal culprit, but dust and soot also play a major role in the bad air that contribute to the deaths of 1,300 residents a year, in particular children and the elderly, more deaths than from vehicular collisions, murder, and AIDS together. The Valley is a natural collector for smoggy air and requires about half the emissions as the Los Angeles basin to yield the same level of smog. The local air district and the US EPA missed every federal deadline for air quality improvement since the district was formed in 1991. Sixth-graders at Malloch Elementary School in northwest Fresno were recently asked how many of them used asthma inhalers. Parents and grandparents were stunned when 30 of the 59 students raised their hands. "I had no idea it was that high," Principal Ellen Hedman said. More than 16% of the children in Fresno County have been diagnosed with asthma, the highest rate in California. Cars, passenger trucks (SUVs, etc. ), and heavy trucks are the region's biggest polluters, accounting for 40% of the smog. Factory farming is another major contributor. This summer, the San Joaquin Valley became the first region in the USA to seek the designation of "extreme noncompliance" with federal law. This granted the region an extra seven years to meet air-quality standards without forfeiting $2.2 billion in federal highway funds. The issue isn't even on the political radar. In April, a poll by the Public Policy Institute of California showed air pollution as the top concern of valley residents, with sprawl close behind. Yet local politicians don't seem to have the guts to touch the issue. In fact, the Council of Fresno County Governments recently urged voters to fund $1.3 billion in new roads. In Madera, the county Board of Supervisors recently approved a development plan for 6,500 houses on agricultural land 15 miles out of town. At no time during the debate did the supervisors consider the air quality impact. Asthma and allergy doctors say that patients fail to make the connection between their illnes and the bad air. Fresno doctor Malik Baz built a tall tower atop his office that displays the day's air quality to commuters. "I had patients this summer who took their vacations on the coast and told the same story," he said. "As soon as they got out of town, their sinuses and lungs cleared up and they stopped taking their medications. Then, as soon as they headed back and hit the valley floor, they had to pull out their inhalers again." Resident Mike Biskup said, "We've got a perfect view of the mountains, but we haven't seen them all summer. . . . For the past five years, my wife and I have been looking at the sky and saying, 'My gosh, we breathe this stuff. This is so sick!'" "A Bumper Crop of Bad Air in San Joaquin Valley"
The drive-everywhere lifestyle led by most Americans is starting to show costs never anticipated at the start of motorization. Some scientists say the suburbs are making America fatter. The prestigious Centers for Disease Control and Prevention recently funded studies that have linked flab with suburban sprawl. People living in subdivisions miles from stores, parks, and schools do not get enough exercise and are getting overweight. "I'm 99 percent sure there's a relationship between how communities are designed and people's weight," said Georgia Tech professor Lawrence Frank, leader of the Smartraq study in Atlanta. "People who live in lower-density, suburban environments, all else being equal, have a tendency to be slightly heavier." In the past two decades, the proportion of those who are overweight or obese has jumped to 64% from 47%. The extra weight brings increased risk of a wide range of serious health problems. Health researchers think that more is to blame than junk food and too much television. They now suspect that the design of neighborhoods, especially outlying suburbs, plays an important role. These communities demonstrate the clearest expression of single-use zoning, where all activities are segregated in their own areas. Urban neighborhoods built before WW II usually clustered housing with shops and parks. Studies have shown that suburbanites do not walk or bike as much as those living in traditional neighborhoods. "We always used to go to the grocery store walking. We always walked to school," said Shadrach Smith, a physician and weight-loss specialist at Truman Medical Center in Kansas City. "Now we just don't see people doing that." Despite advisories from the US Surgeon General that people include moderate amounts of physical activity in their daily lives, that has not happened, particularly in far-flung suburbs. Researchers at the National Cancer Institute recently reported that people who lived in pre-1974 neighborhoods were likely to walk a mile or more with some regularity. Residents of newer subdivisions were less likely to do so. Older residential developments usually include sidewalks and interconnected streets, often with a mix of businesses. Newer neighborhoods are generally less amenable to walking. "Expanding suburbs, expanding waistlines? 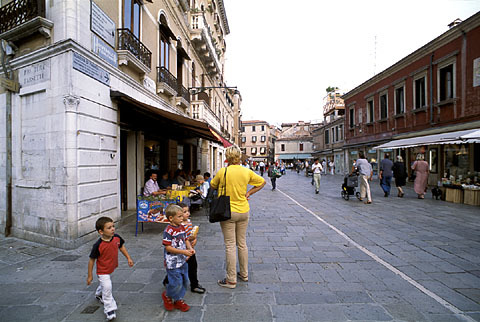 Some researchers see a connection"
Of course, the New Urbanism exists to change this. Carfree cities would change it even more. Harvard researchers have found that increased cellphone use leads to more collisions but claim that the value people place on being able to call while driving roughly equals the cost of collisions. The study, released by the Harvard Center for Risk Analysis, indicates that drivers talking on the phone were responsible for about 6% of US auto collisions, killing 2,600 people and injuring 330,000 a year. The report updates previous estimates of the economic costs associated with collisions resulting from cell phone use, such as medical bills and loss of life. The costs added up to an estimated $43 billion a year, about the same as the value owners put on their cell phones, who cited benefits such as security and peace of mind for instant communication, increased productivity, privacy, and quicker crime and wreck reporting. "Cellphone danger, value about equal, study says"
"Study: Car phone benefits equal car phone accident costs"
Nobody mentions the externalities. Sure, the cell-phone users are getting some benefit. Who's paying? Those they hit, of course. This one was captured in Arezzo, in northern Italy, in 2002, alas only on film. New York Times reporter Keith Bradsher recently published High and Mighty, a book about SUVs and those who drive them. It seems that the SUV is the car of choice for the most self-centered people. 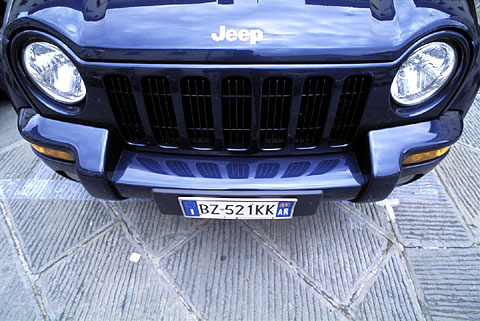 Acting on the results of market research, automakers redesigned their SUVs to resemble fierce animals, in order to appeal to the basest instincts among those attracted to these behemoths. Author Bradsher quotes a former Ford market researcher who knows that the SUV craze is "about not letting anything get in your way, and at the extreme, about intimidating others to get out of your way." SUVs frequently kill innocent drivers who would have survived a collision with an ordinary car. Bradsher quotes industry "leaders" who concede that the self-centered lifestyle of SUV buyers shows in "their willingness to endanger other motorists so as to achieve small improvements in their personal safety." Bradsher does not equivocate: driving an SUV is a deeply immoral act that places the driver's own ego above the health and safety of those around him. What Bradsher calls the "kill rate" for SUVs is terrifying. A monster like the four-ton Chevy Tahoe kills 122 people for every 1 million models on the road; by comparison, the Honda Accord kills "only" 21. The incredible irony is that occupant death rates in SUVs are 6% higher than for ordinary cars, and 8% higher in the largest SUV, which are exceptionally prone to roll-over. Unlike passenger cars, their roofs cannot protect the occupants in rollover events, and an astounding 62% of deaths to SUV occupants occur in rollovers. Bradsher found SUV drivers who raved about how they had survived a collision with barely a scratch, yet neglected to mention that all the people in the other car were killed. One woman said that her response to killing another driver was to buy an even bigger SUV. "Bumper Mentality A review of Keith Bradsher's High and Mighty: SUVs"
How about treating these things the way the law does: as trucks. Let's extend the federal truck-driver licensing act to all truck drivers, including SUV drivers. Then tighten up the training requirements and reduce the number of points that can be accumulated before license revocation. This just can't be allowed to continue. Let's also require multi-million dollar liability coverage for the vehicles. Better yet, let's just get them off the road. French President Jacques Chirac has denounced France's high traffic fatality rate as a "national scandal" at a funeral for five firefighters run down and killed by an 81-year-old driver as they assisted victims of a minor crash. The car that killed them was travelling at 150 km/hr (93 MPH). The driver was slightly hurt and was arrested. "The heroes we mourn today are victims of a national scandal, a scandal that should end," Chirac said. "A civilised society cannot tolerate barbarous behaviour on its roads." Chirac urged drivers to "consider the risks and the consequences" of their actions. Traffic collisions are the leading cause of death among French aged 12 to 30. "Chirac slams road deaths 'scandal'"
We have recently identified a strategy that might help to bring home the incredible carnage on highways around the world. As part of carfree day events, those entering the central site should be offered a black armband to wear for each friend or relative they know who died in a car crash. Most people would be wearing at least one armband, which would be a very powerful statement. Some new train routes are on the drawing board: Seoul to Moscow; Singapore to southern China; and high-speed lines for South Korea and China. Even Laos, which has never had rail service, may get new rail lines. The Trans-Asian Railway (TAR) will carry two main east-west flows; the northern corridor will connect Korea with Moscow and eastern Europe. The southern line will connect Bangladesh and India with Iran and Istanbul, and there is talk of a tunnel beneath the Bosporus Straits to complete the link to Europe. Both lines would connect to Southeast Asia. The TAR routes were first proposed in 1960 and now enjoy support from 24 nations. In 1995, Malaysia proposed a 5,382-kilometer (3,344-mile) route from Singapore to Kunming, the capital of Yunnan in China, but critical links through Cambodia will be required before the route becomes feasible. Spurs would connect to Myanmar and Laos. The budget is a mere US$2.5 billion. Asia will spend some US$73 billion on rail projects between 2001 and 2006, with US$45 billion in China alone, according to UN figures. Even North and South Korea are cooperating, with the restoration of a 24-kilometer (15-mile) rail link through the Demilitarized Zone; no trains have operated over the route since 1950. A high-speed line between Seoul and Busan is scheduled for completion in 2004. The immediate focus is on container service on the northern corridor, and demonstration runs are already planned. Rail freight could travel from north Asia to Europe in just 10 days, compared to the current 25 days by sea. Later links from the northern corridor would serve the landlocked nations of Central Asia. Asian planners are becoming aware of "congestion costs" and environmental damage from highway traffic. Rail, of course, offers lower fuel consumption and reduced pollution. "Train travel to boom in 21st century Asia"
Asia is already a huge threat to the economic competitiveness of the West. If the region really does follow through on this plan to use rail in place of road transport, look for another, large improvement in its competitive position. Trucking, all costs included, is the most expensive means of freight transport barring only aviation. Rail is the backbone of an efficient economy, and this also holds true for passenger service. Economists do not believe this, because they are not including on the balance sheet non-monetary externalities (and many also prefer to ignore even the monetary externalities). They are giving bad advice, along the lines of the World Bank project in Mumbai cited just below. We in Mumbai are faced with a serious threat. Our authorities have developed Mumbai Urban Transport Project (MUTP) with active World Bank support. In a city of 11.9 million residents where public transport and motor cars account for 88% and 7% journeys respectively, the Bank has extended a multimillion dollar loan that supports motorisation and denigrates public transport. Six- and eight-lane link roads without pavements [sidewalks] would pass through crowded areas. A state-of-art Computerised Traffic Signal System would be installed on pavementless roads where flyovers and elevated roads have been recently built for the exclusive use of motor cars. The Bank has not proposed levying a toll on vehicles, and so the common man, not owning a motor vehicle, will be required to pay back the loan. The road collision rate is very high, with pedestrians forming 95% of the victims (Bank observation). Traffic control is conspicuous by its total absence. Not a single road or lane is closed to personal cars, but many roads and all flyovers are closed to public buses. This is what the poor countries have to accept to avail themselves of a Bank loan. The Bank swears by sustainability and poverty reduction! Another World Bank disgrace. The Bank is in the hands of a rich elite who really have no idea of the needs of poor countries and can think only of solutions they would want for themselves - chauffeured limousines. Not A Penny More! In 2000, a total of 284 people died violent deaths on London roads. There are ten deaths on UK roads every day plus thousands of injuries of which about one hundred result in permanent disability. Two-thirds of all fatal accidents to school children result from road crashes, and UK has one of the worst records in Europe on child road safety. In July 2002, the Transport Select Committee said that "if any disease killed as many people as die on the roads there would be an outcry. . ."
The Government has in fact set a target to cut road deaths and serious injuries by 40% by 2010. London's feisty Mayor Livingstone also set similar targets. The Merton Cycling Campaign (MCC) calls on the police to do something about the carnage. According to the Transport Research Laboratory, speeding is a factor in at least one-third of all crashes. Two out of three drivers exceed the 30 MPH speed limit in urban areas, so enforcing speed limits seems a good place to start. The 30 MPH urban speed limit, which is arguably already too high (in many cities on the Continent, limits are 30 kilometers/hour, or about 19 MPH), is supposed to be an absolute limit, not an advisory. A pedestrian hit by a car at 35 MPH is twice as likely to die as one struck at 30 MPH. The urban speed limit applies where most of us live, work, play, go to school or college, and do our shopping. It applies where children might run after a ball, where elderly, blind, deaf, and otherwise disabled people may step out into the street unaware of a fast-approaching car. And yes, where a drunk may wander carelessly out of a pub and into the road. Do these people deserve to die for such tiny, every-day human errors? Some argue that the police should ignore motoring offenses to concentrate on violent crime. In 2000, 171 people were murdered in London, but 284 died violently on London's roads. The majority of road victims are pedestrians and cyclists, who add virtually no danger to the road environment. There is a case to be made for taking driving crime as seriously as murder and terrorism. The last point is a sleeper. I have argued that the only way to effectively limit speed is to make it impossible for the vehicle to exceed the local speed limit. Until recently, this could have been done only at extreme cost, but today all new cars already include computers that control the engine. Adding a radio receiver to detect speed commands would be a simple matter, and the installation of small, solar-powered, low-wattage speed-command transmitters would not be unduly expensive, and could be financed by an additional tax on motorists. It's time to end the carnage on city streets. A solution based on GPS is, according to Richard Evans, quite feasible today. I have been aware of this site for a couple of years and have been watching the growing number of sites and organizations working on the problems of car-oriented city design and living. It seems, similar to the progressive movement happening currently but not yet getting a very strong foothold in mainstream American media and politics, that there are many people in agreement about the same thing but we are still on the fringe. I think it's great and really encouraging that in so many different places, similar activities are happening, but here is my point: I am ready to live in a car-free environment NOW and I'm not going to be around forever. I don't see moving to a rural area where I will just have to rely on a car to get anywhere off the property. I've often thought about : what if a critical mass of people simply identified a small to midsized town and basically took it over? Streets could be closed, existing housing and businesses could be lived and worked in and the town might even generate a tourism economy due to its uniqueness. The reason I am writing is that I wonder how to get this group of people together? Is there someone out there who has already started this? Where are they? I'm ready to move. I have been living in Kansas City, MO for 6 years now and although it is potentially a great city that could easily be made car-free, I think that is about 50 years down the line the way issues like light rail are always killed at the polls. I'll be 83 then if I'm not killed before that! Can anyone shed any light on a car free city I can move to or help start? A huge pile of books is now awaiting review, and it seemed necessary to reduce the backlog, so a number of books are noted below. Some may eventually receive full reviews. 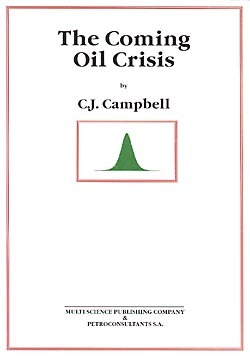 If you are seriously interested in the question of the adequacy of oil supplies and the matter of when peak petroleum extraction will occur, you must read this book. Its author is a noted authority in the field. His conclusions differ strongly from industry experts, but the book contains the data to back up the analysis. In short, Campbell sees trouble ahead, and very soon. Discoveries are running far behind extraction rates, and peak production will probably be seen in this decade. The optimists see a peak coming in 2020 or even somewhat later, and the International Energy Agency has forecast consumption levels in 2020 to run about 50% higher than today, a figure Campbell would regard as absurd. It will make a great deal of difference who is right in this disagreement, but if you want to be informed, you must at least find out what the contrarians are saying. My money is on Campbell. Hews to the standard line: "A 'Sustainable city' is organised so as to enable all its citizens to meet their own needs and to enhance their well-being without damaging the natural world or endangering the living conditions of other people, now or in the future." This is as good a definition as we are likely to have for some time. The author is also aware of the need to return civility to civilization, by at least taming automobile use in cities. Only skimmed, but probably a good, quick introduction to the main issues. No index. 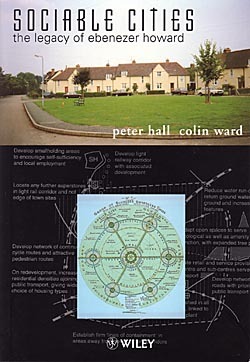 Hall and Ward are two of the UK's leading thinkers on urbanism. This book is very much in the UK context, and the authors are acutely aware of the political difficulties presented by NIMBY movements in the UK. The book is concerned with the preservation of the British countryside, and sees the concentration of new development at rail stations as a means to preserve open space while providing new and improved housing. Mixed uses are seen as part of the solution. Includes a chapter, "The Quest for Sustainability"
A Word from Richard Risemberg for November, 2002: The Self-Service Economy, in the New Colonist. Our Neighborhood, in the New Colonist. China's Carfree Town: Gulangyu, in the New Colonist. Carfree Living, a German page with links to many projects there. Much of the site is available in English. Radical Urban Theory, a collection of interesting writings. Le Piazze d'Italia [Italian Squares], with photographs. Events are listed on their own page. The next issue of Carfree Times is scheduled for April 2003.